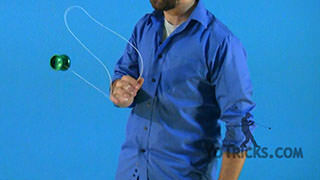 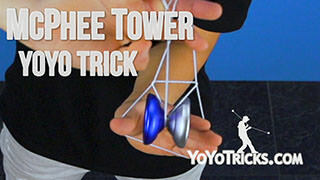 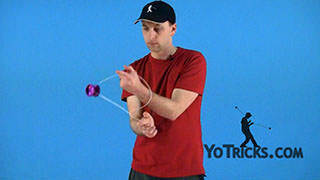 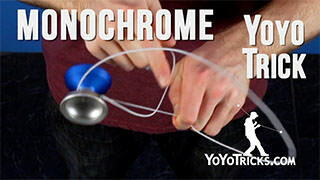 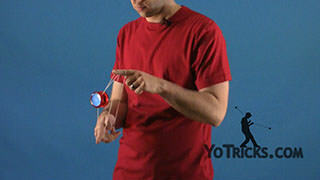 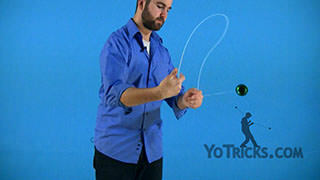 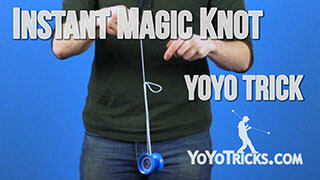 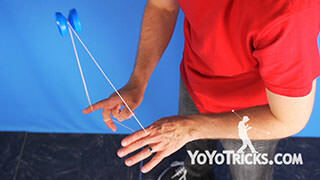 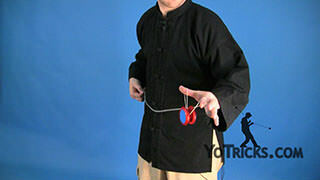 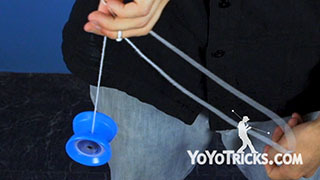 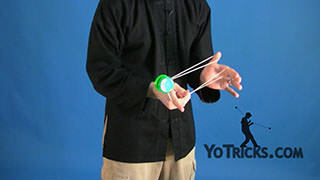 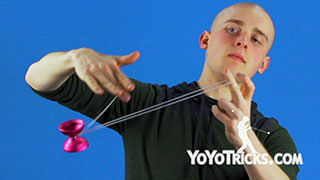 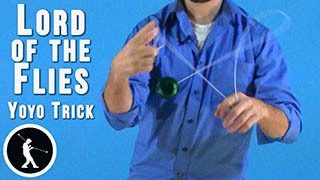 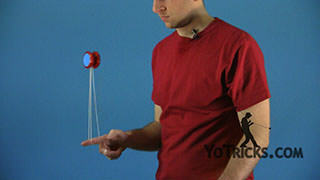 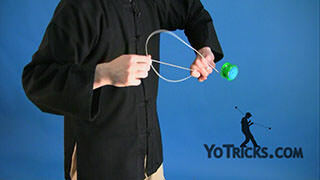 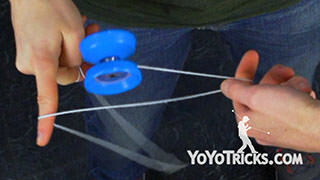 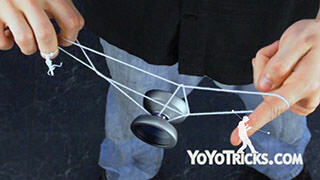 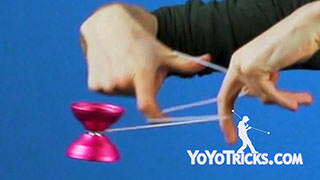 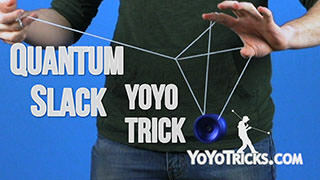 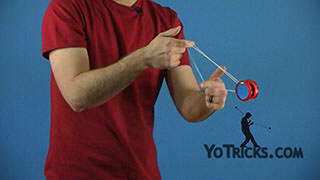 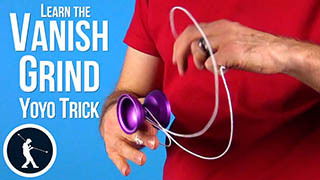 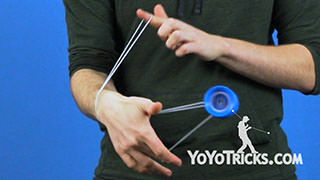 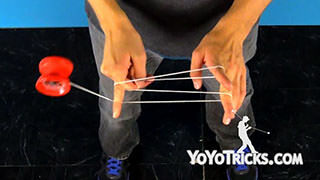 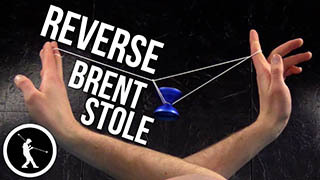 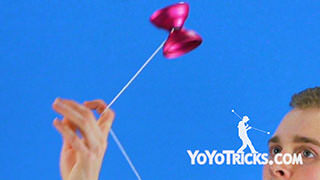 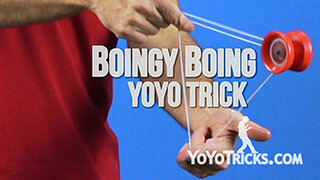 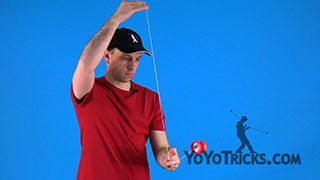 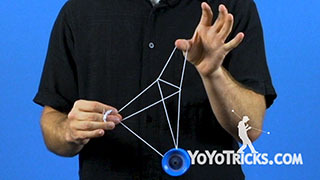 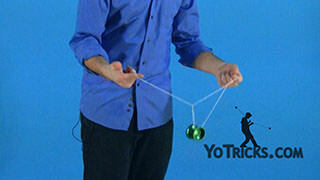 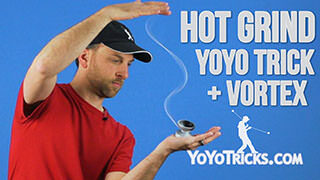 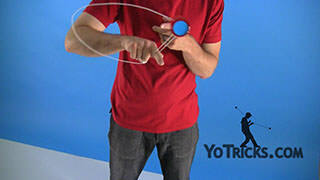 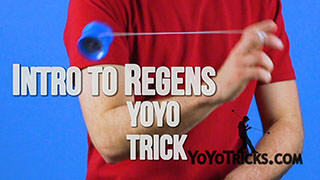 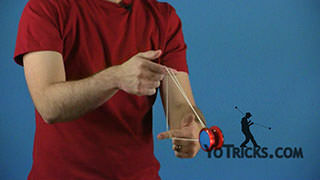 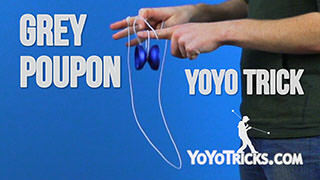 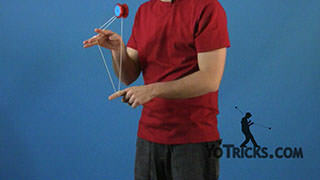 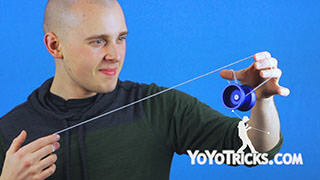 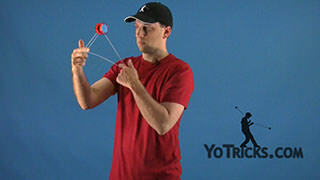 Learn how to do the Boomerang Yoyo Trick. 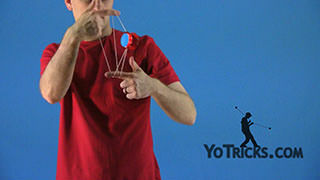 Boomerang Yoyo TrickThis trick is called the Boomerang and it looks like this. 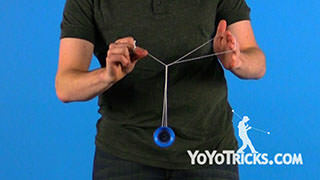 The Boomerang is really just a hop, except that it is in front of you. 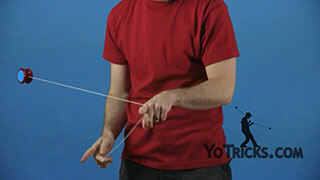 That way can can start with your front-mount if you want to. 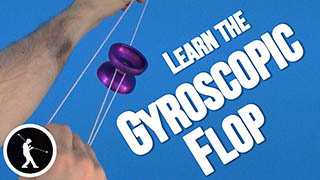 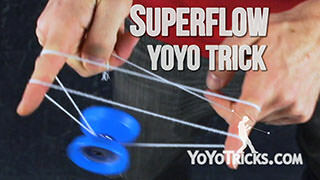 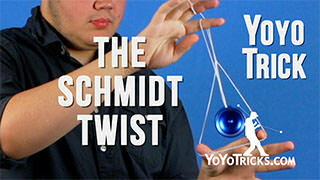 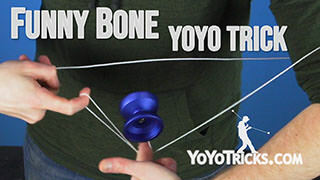 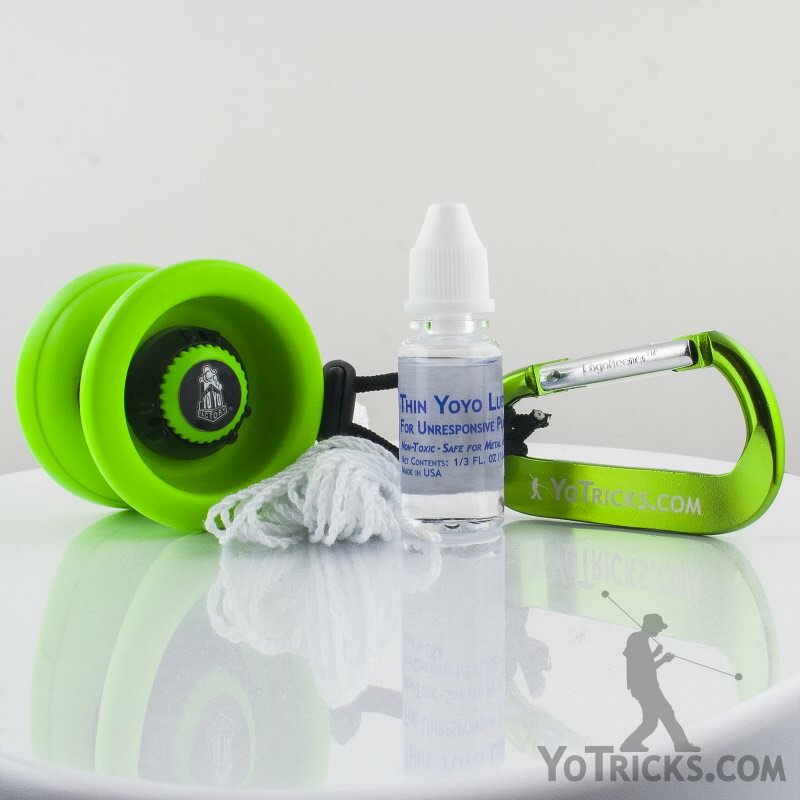 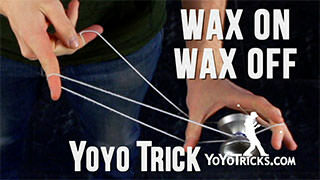 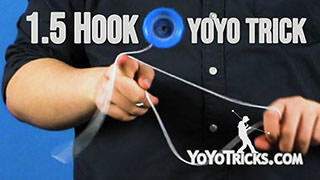 But if you want to start an even easier way you can just lift the yoyo up and get the yoyo on the string. All you are really doing is throwing the yoyo forward and then pulling it back to yourself. 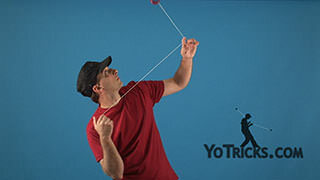 To get that forward motion at first all you’re really doing is swinging your top hand and that makes the yoyo go out a little bit. 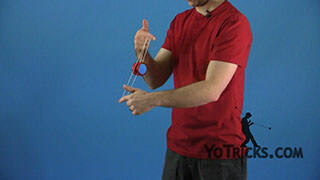 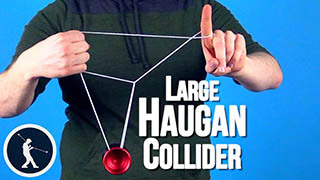 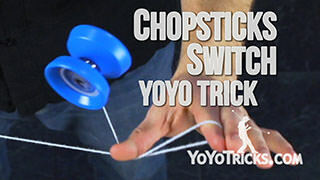 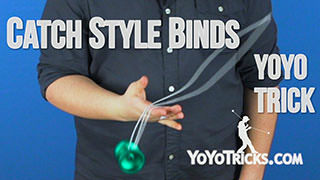 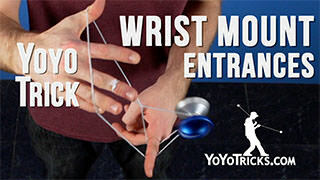 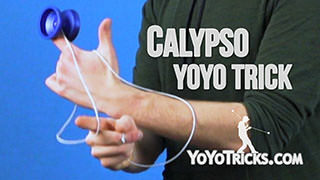 If you want your yoyo to go out even further you are going to need to bring your hands together. 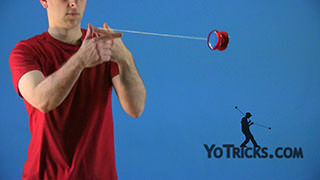 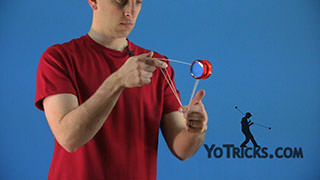 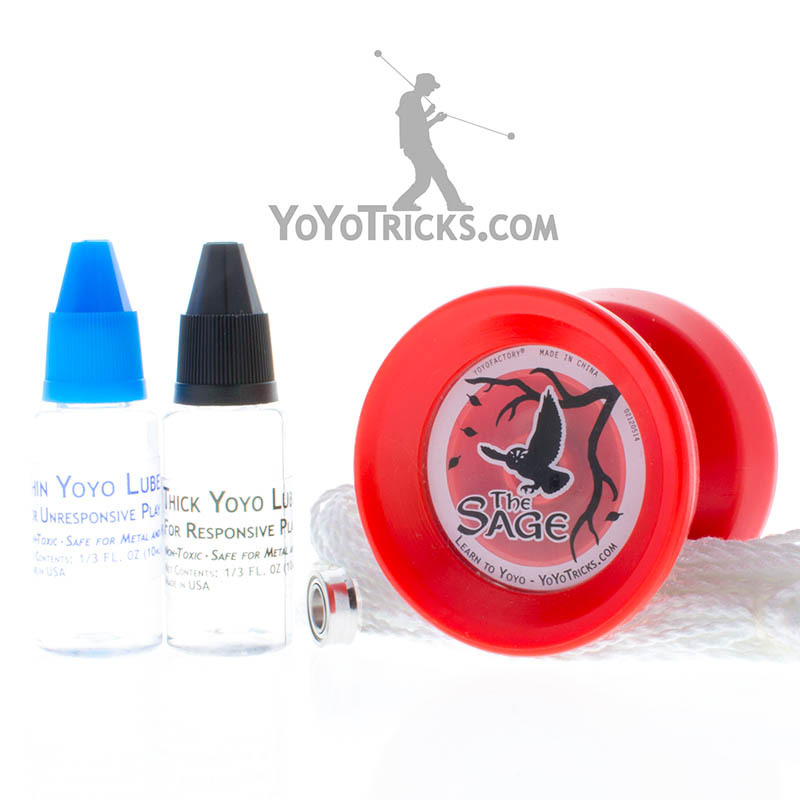 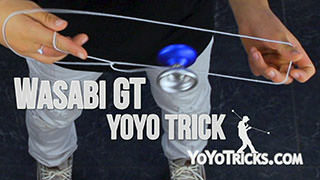 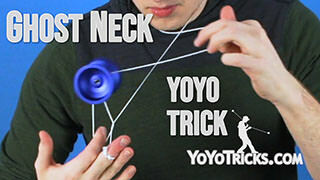 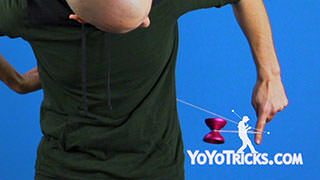 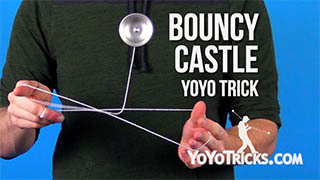 That way you can get as much distance out of the yoyo as possible. 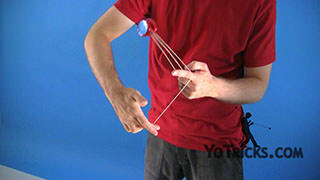 With a little bit of practice you will be able to bring your hands together between each boomerang no problem. 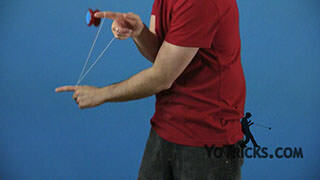 The nice thing about the Boomerang, besides being kind of fast and flashy, is that it is great for combinations. 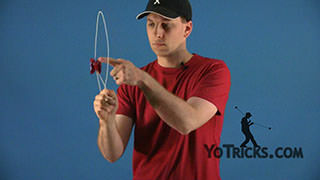 So if you want to start with your front-mount, throw it out a couple of times, then just bring it right back in and do a couple of your front-mount tricks, that works pretty well. 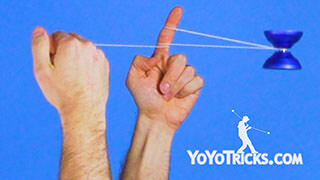 The other thing you can do is a single boomerang into a one-and-a-half boomerang. 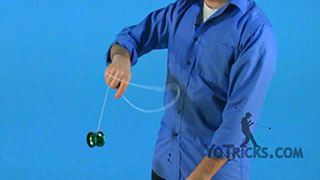 When it goes out, you lift your yoyo hand into the string and catch it on this string right here. 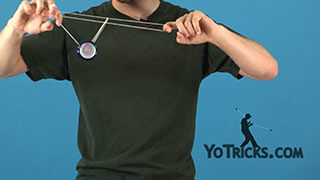 You can do that as many times as you want. 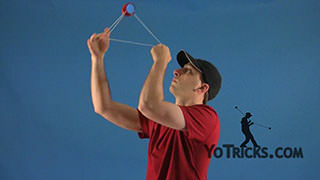 This even lends itself better to combinations, because if you use the one-and-a-half boomerang you can see right here you are in your one-and-a-half mount. 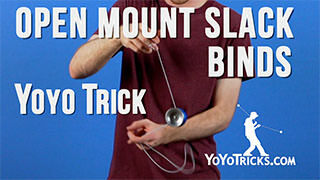 Any trick you can do from your one-and-a-half mount can be done from that one-and-a-half boomerang. 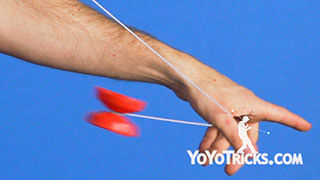 You just go out, into your one-and-a-half boomerang, now you’re here. 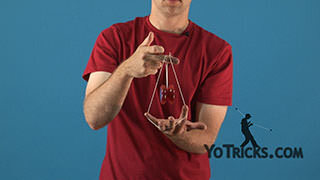 Do all your different tricks. 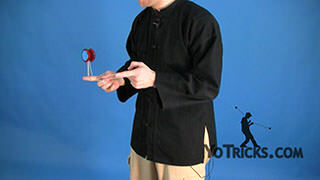 It is a nice trick. Make sure you are giving it as much distance as you possibly can, because that makes the trick look better. 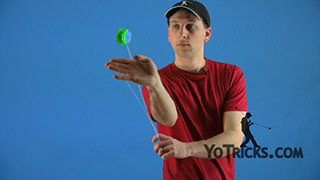 Work on your one-and-a-halfs because that will make the trick look even more interesting. 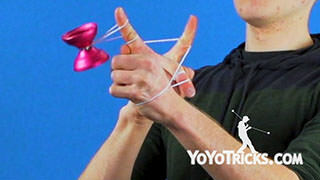 That’s the Boomerang.